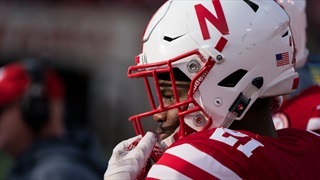 Greg Bell officially acknowledged his transfer on Monday and provided a list of schools Nebraska has blocked from contacting him. 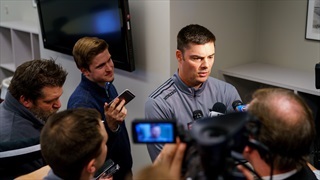 Nebraska heads to Madison without Greg Bell and host Chris Schmidt disusses Friday's big news with Derek Peterson, Greg Smith and Bill Doleman. Clauseborn joins for the forecast. 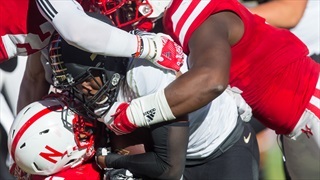 Nebraska running back Greg Bell will not make the trip to Wisconsin. A source with knowledge of the situation confirmed to Hail Varsity that Bell was not expected to make the trip after originally being placed on the travel roster. There was a lot of talk about running back Greg Bell when he arrived at Nebraska. Two weeks into fall camp, he's showing steady improvement as he finds his place in a crowded running backs room. 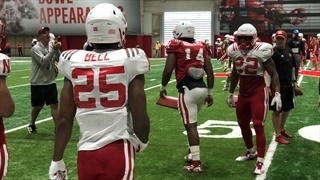 Nebraska running back Greg Bell came up a lot following Wednesday's practice, as well as the tight ends. Here are five of the best things heard from post-practice. 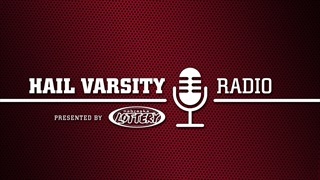 Hail Varsity’s by-the-numbers approach to previewing the season rolls on with a look at the running back position. 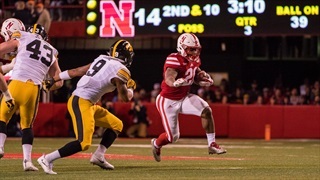 Nebraska's assistant coaches won't meet with the media until next week, but running backs coach Ryan Held offered an update on his guys during a radio appearance this week. 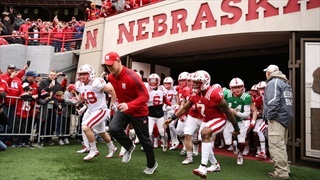 A reader asked if the Huskers will have a Heisman Trophy-winner in the next four years. Staff writer Derek Peterson did a deep dive and came up with what it would take. 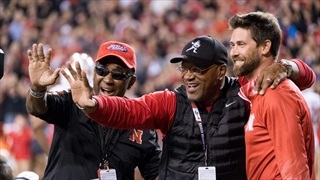 Mike Rozier is one of the greatest running backs in Nebraska history, and certainly the best junior-college transfer. Mike Babcock takes a look at the five other to make the jump in Lincoln. We have reached the top three in our countdown and from here on out it's all offense. At No. 3 is the talented junior college transfer running back. Nebraska's run game wasn't good enough in 2017. Can it be good enough in 2018? 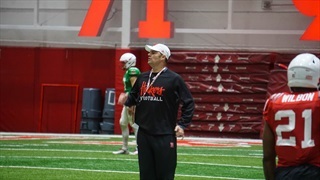 Derek Peterson takes a deep look at what we saw from the Huskers' backs in the spring game. 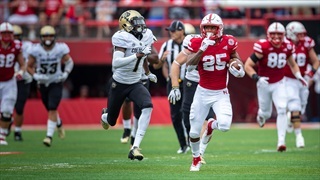 There are few positions more fun to play in Nebraska's new offense than "Duck-R," a hybrid running back/wide receiver who will see a ton of touches. Here's who is filling that role this spring. Scott Frost and his staff signed a 24-man 2018 recruiting class made up of five junior college transfers and 19 high school seniors. Which of these players have the best chance to make an immediate impact this season? 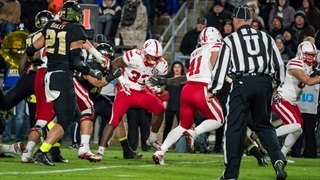 The Huskers haven't had a 1,000-yard rusher since Ameer Abdullah. Finding one in 2018 could go a long way towards spurring the Huskers' return in Scott Frost's first season.